Washington Revels is a non-profit 501(c)(3) corporation, so donations are tax-deductible to the full extent permitted by law. Why Donate to Washington Revels? Your donation is more than just a tax-deductible gift: it is an investment in the social fabric of the greater Washington area. And if you donate $100 or more between now and September 24, you’ll receive Early Priority Ticketing to the 2019 Christmas Revels. Washington Revels is a multi-generational performance community of professionals and nonprofessionals that includes literally hundreds of performers—adults, teens, and children—along with dozens of key production staff and hundreds of volunteers. Including our audiences, who participate interactively with us, our more than 50 programs touch nearly 25,000 participants every year. Very few arts organizations offer that scope and reach. But Washington Revels is so much more. It has been said that true theater differs from mere entertainment because theater has the power of individual transformation. Revels adds the possibility of social transformation. We bring people together across the national and cultural divisions of a fractured world in a shared celebration of common community. Our performances, programs, and after-school workshops explore traditions from many cultures and different eras, uniquely illustrating the common humanity that binds us all together. Our brochures and commentaries supplement those programs with an enriching mix of history, culture and other educational material. The world needs more Revels. We are committed to reach as many people as possible with its transforming power. 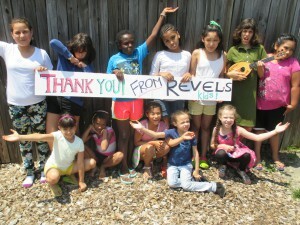 Please make a gift to Washington Revels today and join us in our mission of Creating Community Through Celebration. For more information on sponsorships, please contact Patti Knapp at 301-830-4411 or at pknapp@revelsdc.org. 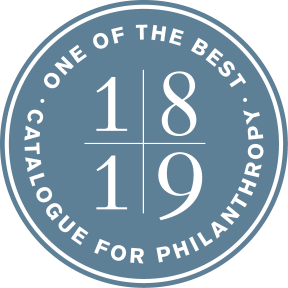 The Catalogue for Philanthropy: Greater Washington: “‘One of the Best’ local nonprofits in the region” for 2018-19 (our ninth consecutive year). 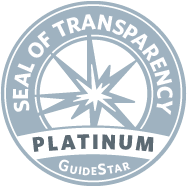 GuideStar: 2018 “Platinum” Seal of Transparency.